How Incorporating Sustainable Energy Impacts Employment Strategies - Duffy Group, Inc. Deciding to incorporate sustainable energy into a business is an admirable goal. It’s also a strategy that’s becoming more prevalent. Google, for example, is on the record saying it aims to power 100-percent of its operations with renewable energy sources. While the technology giant is still quite far from that goal, the overall pace of sustainable energy adoption continues to increase. This approach pays dividends not only from an environmental perspective, but also in a business sense. Sustainable energy holds the potential to be cleaner, less expensive and limitless in supply. Knowing how to effectively implement and manage a sustainable energy strategy isn’t always obvious of course — you need the right people in place. With that in mind, let’s take a look at what to consider before adopting renewable power and how it affects employment strategies. The first thing to understand about implementing sustainable energy is that it’s essentially industry agnostic. No matter what space a business operates in, sustainable power is a possibility. There are, however, a few considerations to address. First, adopting sustainable energy, whether in part or whole, must make financial sense for an organization. Not every firm is positioned to handle the upfront costs associated with the switch. A cost/benefit analysis and other projections should be outlined. Second, it’s imperative to consider the location of a business, and its access to renewable energy sources. Obviously, businesses in Arizona will have greater access to solar power than businesses in Alaska. Accessibility to sustainable energy (and various types of sustainable energies) varies significantly by location, and this plays a large role in determining whether switching to renewables is economically feasible at a given moment. Third, businesses should weigh the relative merits of each energy type available: Solar, wind, geothermal, etc. Local, state or federal governments or utilities may also offer incentives, credits or rebates for using a specific type of sustainable energy. Finally, regulations and laws governing the use of sustainable energy vary by jurisdiction, so it’s critically important to review all relevant statutes before proceeding. Organizations without specific expertise in the area may wish to speak with a consultant before drawing up a proposal to incorporate new energy sources. Powering a business with solar or wind is relatively straightforward. Finding opportunities for sustainable energy savings on an organizational scale is a more far-reaching challenge. That’s one reason why the rise of sustainable energy has coincided with the emergence of a new corporate position: Chief Sustainability Officer. This role is tasked with helping organizations use energy in a more sustainable fashion by finding opportunities for greater efficiency or conservation. The number of companies using dedicated energy or sustainability managers has spiked significantly in recent years. 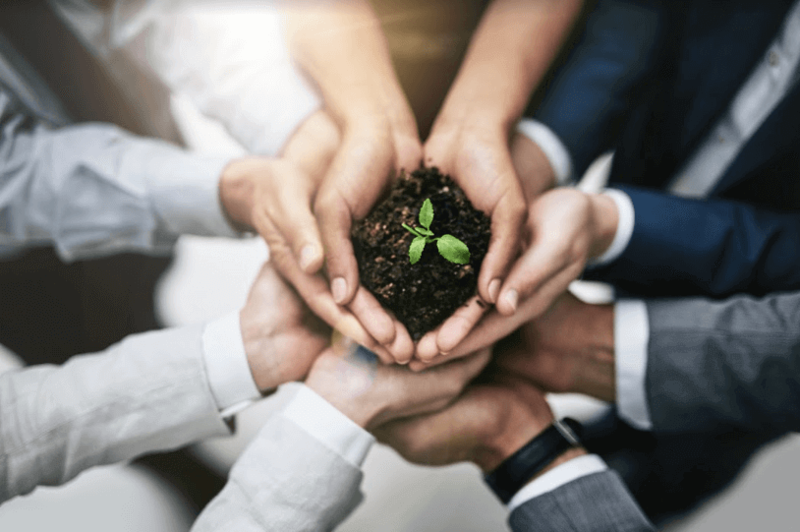 Private equity firms are also pioneering the practice of bringing experts onboard an organization to focus on cost savings achieved through greater sustainability. Because sustainability executives are so new (DuPont created the first such position in 2004), the standards and practices of the field are still evolving. The potential financial benefits, however, are enormous. One example: As part of a pilot program, the Environmental Defense Fund embedded MBA students in companies over the course of one summer to identify savings opportunities related to sustainable energy. Collectively, the students were able to identify $1 billion in potential savings — a finding that spurred many firms to create full-time sustainability positions. Ultimately, while sustainable energy holds great promise, it’s a major transformation that requires proper due diligence and highly-qualified personnel with the requisite knowledge to identify inefficiencies. The trend toward sustainable energy shows no sign of abating. By making informed decisions about the best time and manner to pursue a sustainable strategy — and hiring the right people to make it happen — organizations will be best positioned for success.